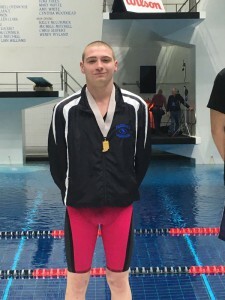 Junior Noah Coomler brought home hardware from the Swimming State Finals this weekend. Noah swam in both the 50 and 100-yard freestyle races in the State Final prelims on Friday. He proved he was one of the state’s best 8 swimmers by advancing to the Final heat in the 50 freestyle. In the Finals on Saturday, Noah repeated this feat to place 8th in the 50-yard freestyle.